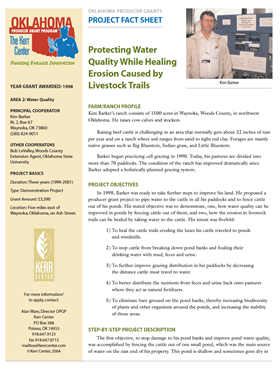 This fact sheet, based on a 1998 Oklahoma Producer Grant to Kim Barker for installing watering lines to paddocks in his rotational grazing system, includes a farm/ranch profile, project objectives, project description (water line, watering points, results), and tips/lessons learned. This Missouri NRCS publication covers in detail all aspects of water supply for livestock under rotational grazing management. This University of Arkansas Extension publication describes two methods of using ponds for watering livestock while limiting direct access: floating fences, and drawing water from ponds. 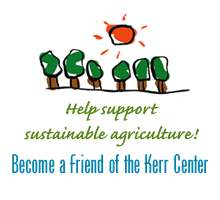 This University of Tennessee Extension publication discusses the benefits of excluding livestock from streams, and the resultant need to develop alternative means of watering livestock. This presentation covers grazing systems and their benefits, grazing terms and calculations, pasture design, and grazing strategies.